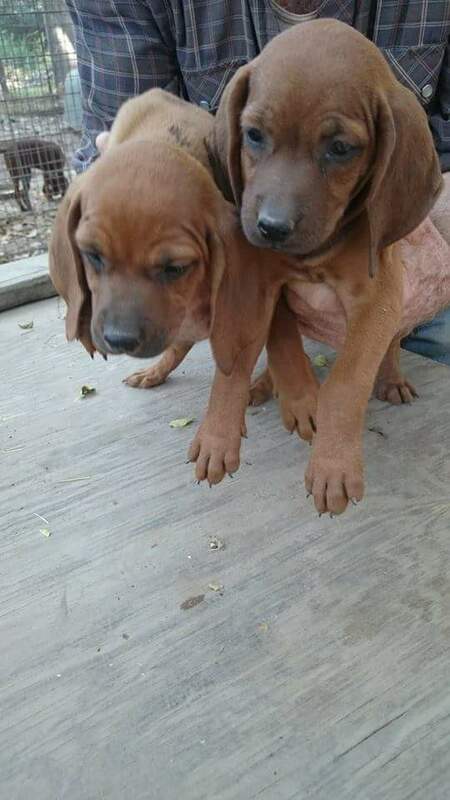 Here at Howling Hills Kennels we breed puppies that are suitable for show dogs, hunting dogs, or companion homes, so if you are looking for something to take you to the top in the show ring, something to take to the woods for pleasure or competition, or the right dog to make your family complete we will strive to provide just what you are looking for. However, every litter is not always suited for every purpose, so we will screen you carefully to find exactly the right puppy for you. 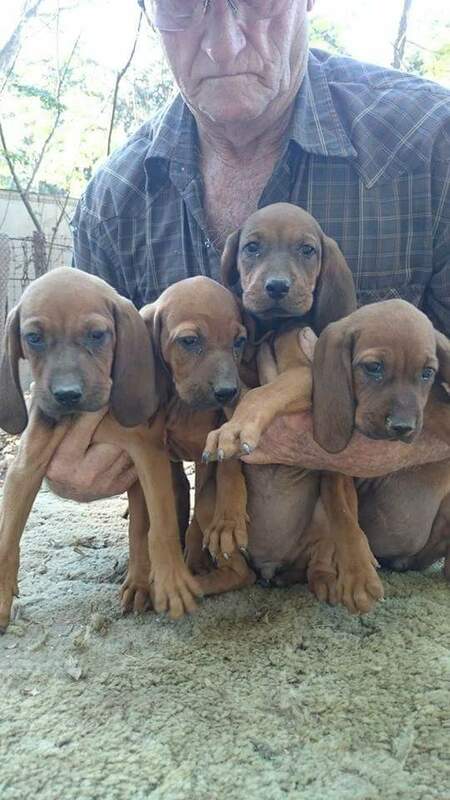 The demand for quality redbone puppies is at an all time high nationwide and due to our excellent reputation we tend to stay booked up several months in advance. We usually have a long wait list before puppies are born so it's best to get on the wait list as early as possible. Please be sure to read the FAQ section from the homepage to answer your questions about guarantees and shipping costs before booking. We will want to know more about you before you book, so with your first contact be prepared to tell us why you chose this breed, what your experience and knowledge with the breed are, how you plan to confine and train your puppy, information about other pets and family members, and the intended purpose of the puppy (hunt, pet, or show) so that we can assess whether the breed is right for you, if we have the right puppy for you, and which litter might best suit your needs. We will put you on a wait list and that time we will require a $100.00 deposit to book a puppy, with remaining balance due when puppies are 8 weeks old, at time of pickup, or before they are shipped. We can arrange overland shipping with Great Lakes Pet Transport, Buckeye Hound Haulers, or Cajun-Pro dog haulers to just about anywhere in the United States, right to your door. Prices are approximately $200-300. 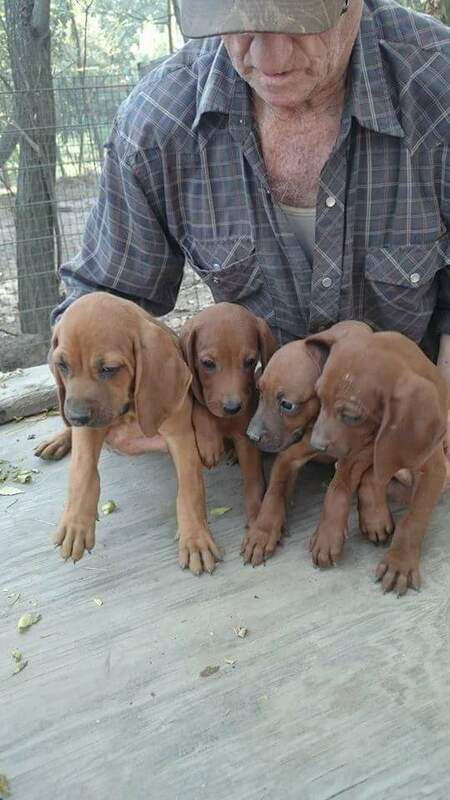 These beautiful pups are bred to hunt or show with the best of the Dickson lines! 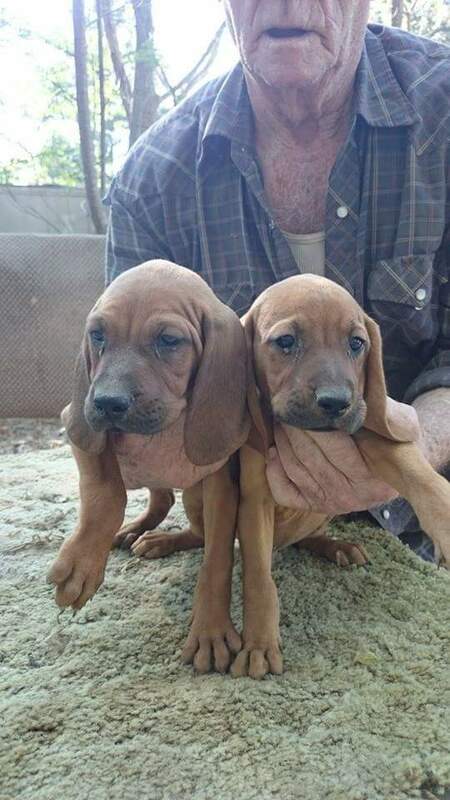 Ready for immediate pickup at $400 they have their ukc papers, first two shots, and worming.